This item has sold. Thanks for looking. GE MASTR II 75W UHF Continuous Duty Duplex FM Amplifier. This amplifier is 100% operational. Full output. Was used in the 70cm Amateur band. Payment via Square.com (secure cc/debit) for immediate shipping, Postal Money order, or personal check (must clear before ship). Sorry, as usual here, no Paypal. Comes from a GE MASTR II repeater on wheels (not included in this sale – way too big to ship). I'm out of the repeater business. Too much hassle for something I don't enjoy any longer. I've pretty much faded away from any VHF/UHF FM work (lost all interest) and mainly enjoy weak signal SSB and CW operation on VHF-Microwave (Yeah I'm on HF too). My shack runneth over with ham gear I'm not using so I'll be listing quite a bit on Swap.QTH.com and here on my blog over the coming days. I've also got a package deal Satellite/EME station to list as well (still figuring out the sale price) – Yaesu FT-726r All-Mode 2m & 70cm (w/Sat board) station + a TenTec 6m transverter. Package also includes a Mirage 160w 2M ssb/fm amp and RFConcepts 100w 70cm ssb/fm amplifier. Will make a new post for that tomorrow -Friday, getting too late to fool with it right now. Also will add a listing for a Cat200B Repeater Controller and other stuff. 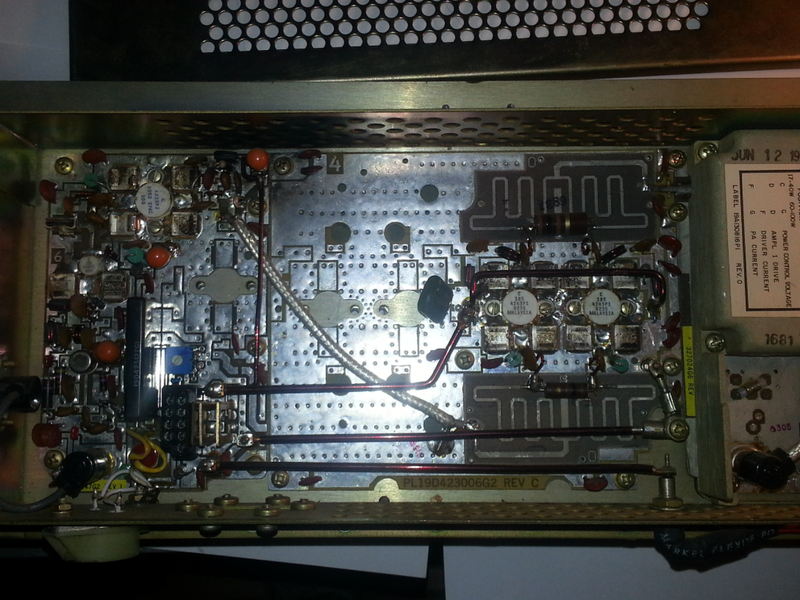 2 Comments on "SOLD – GE MASTR II 75W UHF Repeater Amplifier"
How Much Drive Does This Amp Need Minimum?? And Would You Be Interested In Trading For a RF Concepts 2-417 2 Meter fm/ssb Amp With Gasfet Preamp? ?